Would you like to create more togetherness for your family this summer? Summer is supposed to be a relaxing time, but I’ve found that kids who have too much free time often get into trouble. Also, my kids are also prone to fight because they don’t have many activities to pull all ages together. Do you find the same thing? During our homeschooling schedule, we have a lot of time together reading aloud, and we love it. My homeschool kids for the upcoming year are ages 7-15, and it’s an amazing thing to see six children of different ages laughing (and sometimes crying) together as I read. We love summer reading! 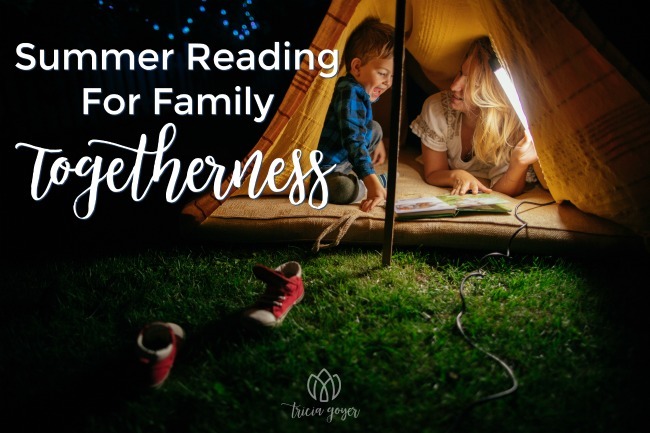 You should try summer reading to promote family togetherness this summer! My kids are SO excited about these books. Also, we’ll be having a teen friend from Europe staying for a month, so I’m eager to see what she thinks too. I think these middle school readers will be perfect since English is her second language. It’s super easy. All you need to do is gather everyone together and read. Kids of all ages can enjoy the same book. It provides a meaningful experience to fill up summer days. It provides a time of intimacy as everyone gathers close. It takes kids on new adventures and fun experiences without leaving home. 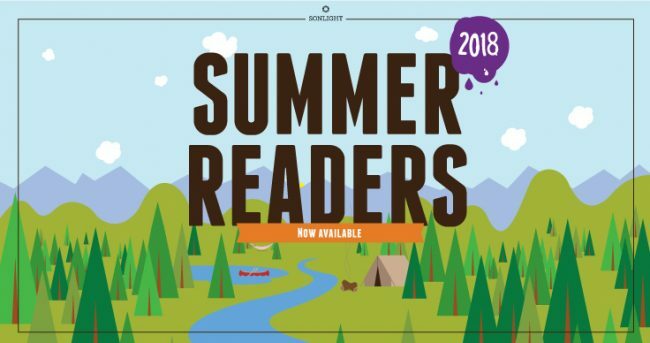 I encourage you to check out Sonlight’s summer reading program. If you do, let me know how your family is enjoying the books!